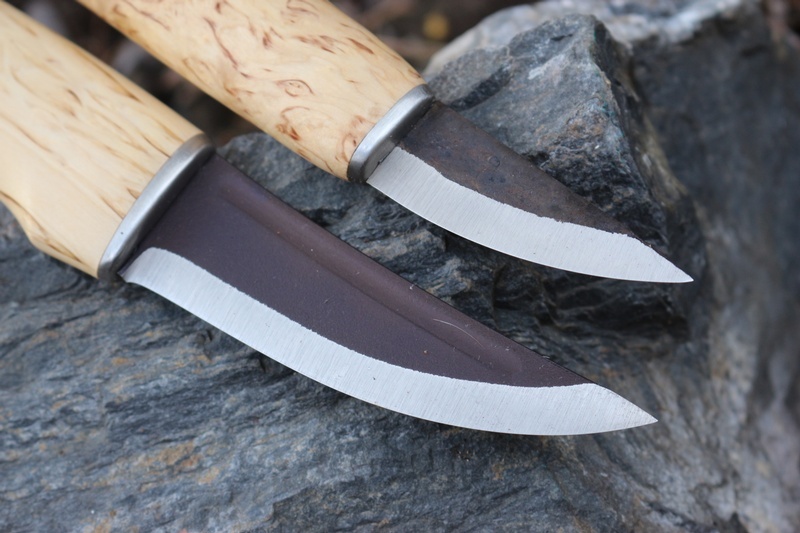 Roselli of Finland make some superb, traditional knives and with this combination package they have put two of the best ones together. 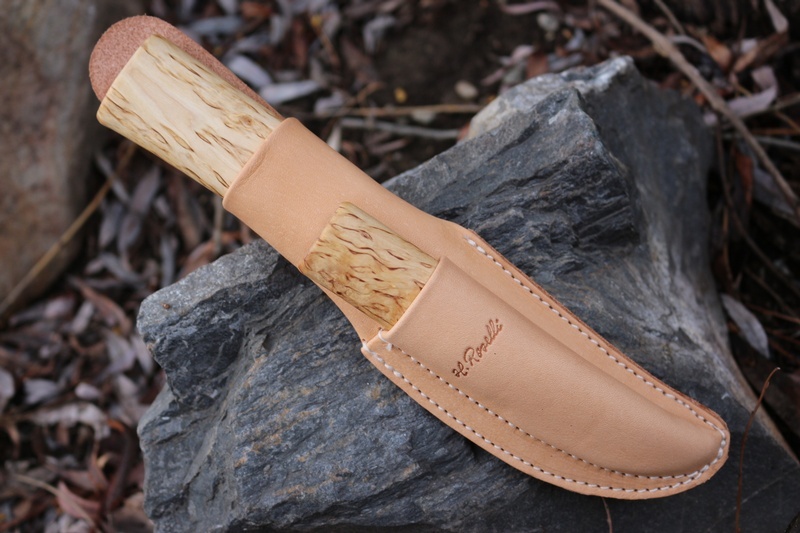 The Carbon hunter and the Mini GM in one sheath. 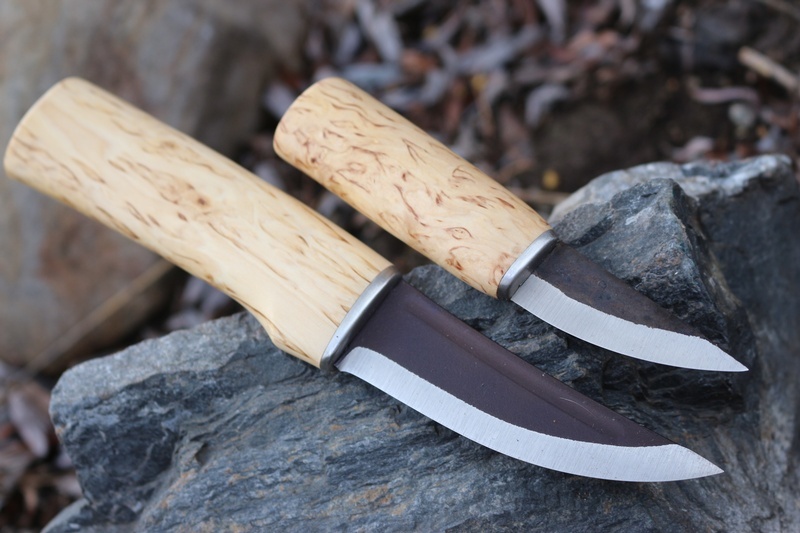 Using the superb high carbon steel, the Curly Birch handled Hunter has long been a favorite Hunting knife in Lappland, traditionally made with all materials sourced locally to Roselli. 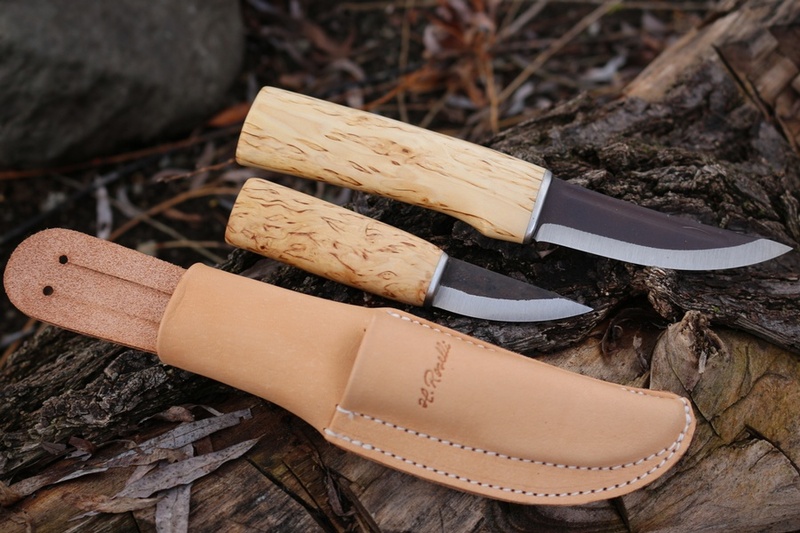 The Mini GM is a great compact knife, that compliments the Hunter and its steel and manufacturing qualitys are the same. A great combination to cover a wide variety of hunting and Outdoor activities. OAL 5 7/8th in, Blade 2 1/4in. Purchase through PayPal by using the "Add To Cart" button above or use the form below to order the Roselli Hunter and GM Combination . Feel free to contact us if you have any questions about the Roselli Hunter and GM Combination .